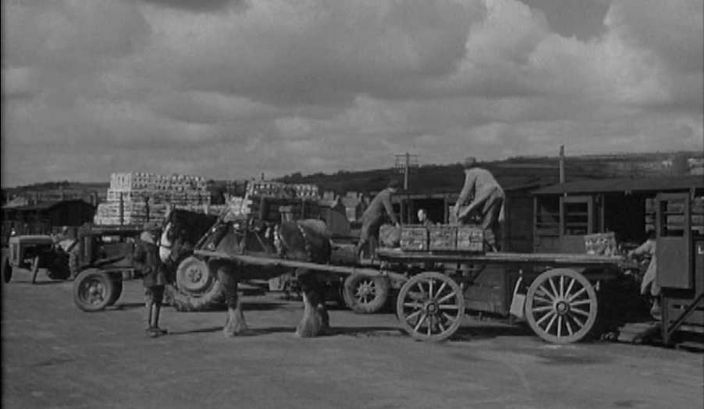 There have been mutterings – and at times official complaints – for some time about railway freight charges. And as if that isn’t enough, trains to the north are slow, and the railway companies don’t seem to appreciate the need to catch the market; there have been confusions and delays. But now there’s an alternative. After an initial trial run a few days ago, a second steamer is in the harbour, loading up with potatoes for the north. The enterprise is “fraught with importance”. The sea passage will be cheaper and perhaps even faster than rail, and return more profit to market gardeners supplying the “expensively grown” new potato crop to northern towns. Marketing the new service hasn’t been exactly aggressive. Last week, the Market Gardeners Association urged members to support it, grumbling about the railwaymen’s practice of leaving north-bound goods in sidings to allow Great Western passenger trains through, but suggesting that “in such outlying districts as Zennor, the sailings of steamers had not yet been heard of”. That may explain why the Stockton, loaded up today for the first of the regular runs, carries only 60 tons – a tenth of capacity. But from today, for £7 10 shillings a ton, you can race your produce straight from the soil to those hungry northerners. Bazeley’s will make the arrangements; you just need to bring along your most flavoursome and dainty-looking vegetables – the pick of the crop. Granted, rail is still a better bet for those growers with their sights set on the London buyers. And the siding at Gulval, the station at Marazion, have both been busy loading up all day. The railwaymen claim that the new sea route has made not the slightest difference. 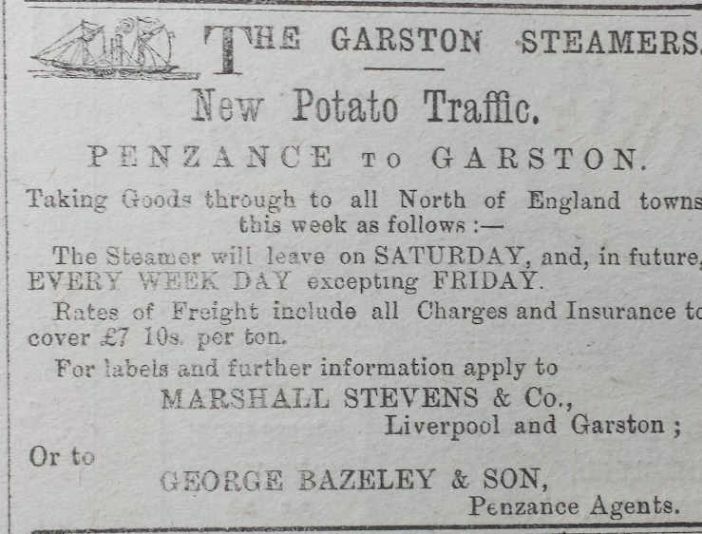 But it’s early days, and with prices at 24 shillings a bushel, it’s worth trying anything that gives Penwith potatoes the lead. Rail or sea? Growers, you may now take your pick. Whichever transport option you favour, of course, it’s steamed potatoes all the way - from West Cornwall to the dinner plates of England. 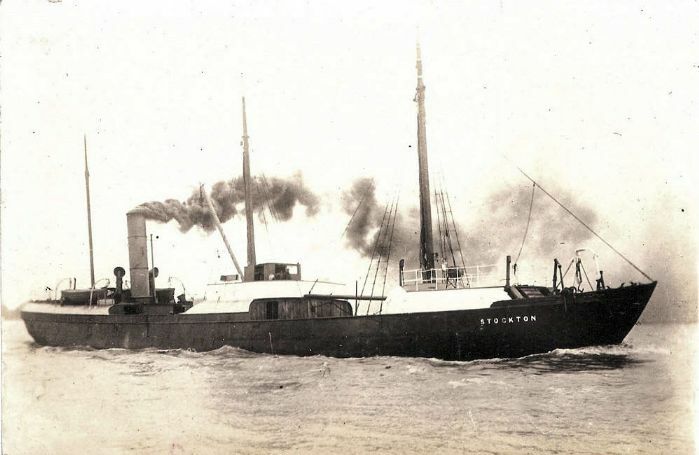 The picture of the Stockton came from the collection of Charlie Hill via www.teesbuiltships.co.uk. Sadly Charlie died just a few days before this On This Day item was put together.